Getting involved in your child’s school can be extremely rewarding. Learn how you can participate, celebrate events, provide support and stay informed. Meredith Primary School values the active involvement of parents in its programs and fundraising efforts. There area a range of opportunities for parents to get involved in with the school, such as; reading program, fundraising activities and events, gardening, special events at school e.g. footy day, end of year concert etc. Your contribution large or small is greatly appreciated and has a large impact on the positive educational outcomes for your children and the school community. Becoming a member of the Meredith Primary School Council is a great way to play an active role in your child’s education. We are a dynamic and diverse group of people who bring to the table many skills, differing viewpoints and a passion for making our school a better place. We work together, represent the wider school community and continually strive to improve our school where we can. We look forward to welcoming you to School Council. 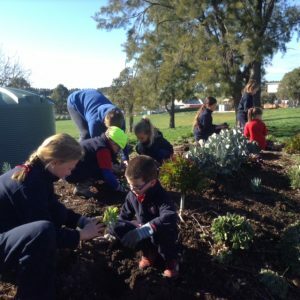 Meredith Primary School have an extensive veggie and ornamental gardens and the school relies on the wonderful help of volunteers from the school community to help upkeep the school gardens. 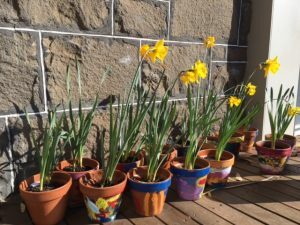 Each month a group of parents assist the children with gardening activities, such as weeding, soil preparation for planting the next veggie crop for the season, planting out the ornamental gardens or donating mulch, veggie seeds, plant cuttings or manure for the garden. Keep an eye out in the school newsletter how you can get involved in the garden.